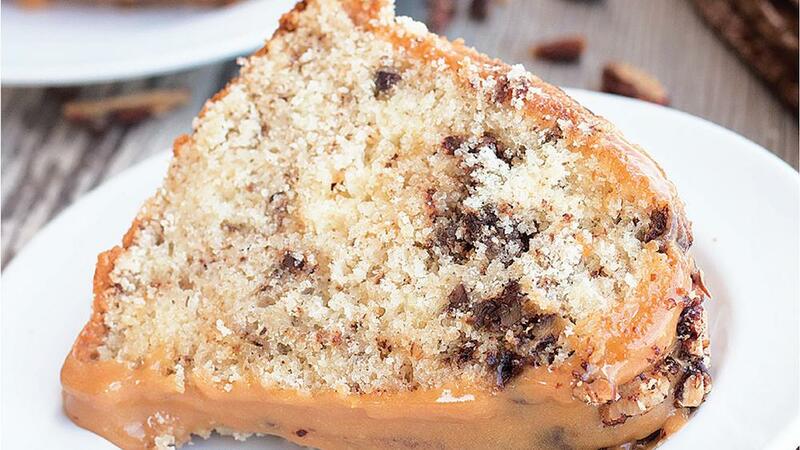 This decadent bundt cake is sure to please any guest at the cabin. 1. In a medium bowl, combine brown sugar, cinnamon, salt, butter and bourbon. Add pecans and toss to coat. Spread mixture evenly on prepared baking sheet. 2. Bake in preheated oven for 20 to 25 minutes, stirring halfway through, until fragrant and caramelized. Let pecans cool completely in pan, then chop (leave oven on). 3. Preheat oven to 350°F if you have a light bundt pan; for dark pan, preheat to 325°F. In a medium bowl, whisk together flour, baking powder, salt and baking soda. 4. In the stand mixer bowl, beat 1 3⁄4 cups sugar and butter on medium speed for 3 minutes or until light and fluffy. Beat in eggs yolks, one at a time. Beat in bourbon and vanilla. 5. With the mixer on low speed, alternately beat in flour mixture and buttermilk, making three additions of flour and two of buttermilk, and beating until incorporated. 6. In another medium bowl, using the handheld mixer, beat egg whites with 2 tbsp sugar on medium-low speed until foamy. Gradually increase speed to high and beat until firm peaks form. 7. Using a spatula, carefully fold egg whites into batter in three additions. Fold in 2 cups spiced pecans. Transfer batter to prepared pan and smooth the top. 9. Pour glaze over the cooled cake, letting it drip down the sides. Garnish with the remaining spiced pecans. Let glaze set for at least 30 minutes before serving. 1. In a medium saucepan, stir together granulated sugar, cream of tartar and water over medium heat until sugar dissolves. Increase heat to medium-high and bring to a boil, without stirring. Boil, swirling occasionally, for about 8 minutes or until syrup turns a deep amber color. Remove from heat and carefully stir in cream (mixture will bubble vigorously). Reduce heat to low, return pan to heat and stir until caramel bits dissolve. 2. In a medium heatproof bowl, whisk eggs until blended. Very gradually pour in hot caramel in a thin, steady stream, whisking constantly. Whisk in salt. Return to the saucepan and whisk constantly over medium-low heat for 2 to 3 minutes or until smooth and slightly thickened. Let cool to room temperature. 3. Whisk 1 1⁄4 cups confectioners’ sugar into caramel mixture. Whisk in more sugar if necessary, 1⁄4 cup at a time, until glaze is thick but pourable. 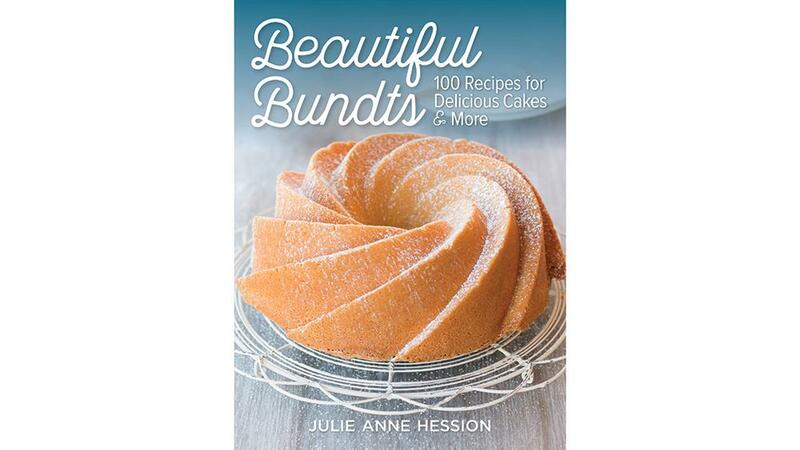 Courtesy of Beautiful Bundts: 100 Recipes for Delicious Cakes &amp; More by Julie Anne Hession © 2017 www.robertrose.ca Available where books are sold.